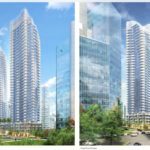 Developer Modern Green Canada is preparing to submit a rezoning application for the Oakridge Transit Centre site, which could see up to 1,425 homes in buildings up to 23 storeys. 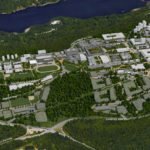 Modern Green says the Oakridge Transit Centre redevelopment will take inspiration from local Indigenous communities as well as the site’s transportation history. 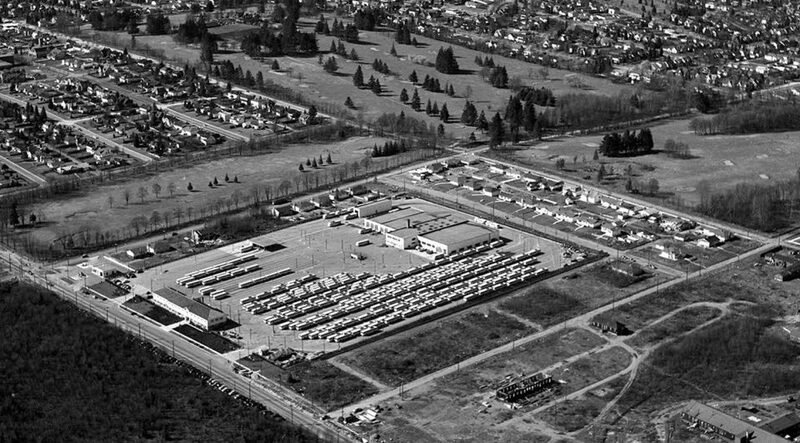 The Oakridge Transit Centre trolley bus depot opened in 1948 and helped spur development of the Oakridge area. 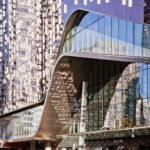 In 2006, the majority of the transit depot operations were relocated to the new Vancouver Transit Centre. 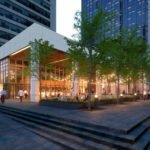 The developer says the tallest buildings will be located near the centre of the site and along West 41st Avenue to reduce impacts on the surrounding neighbourhood. 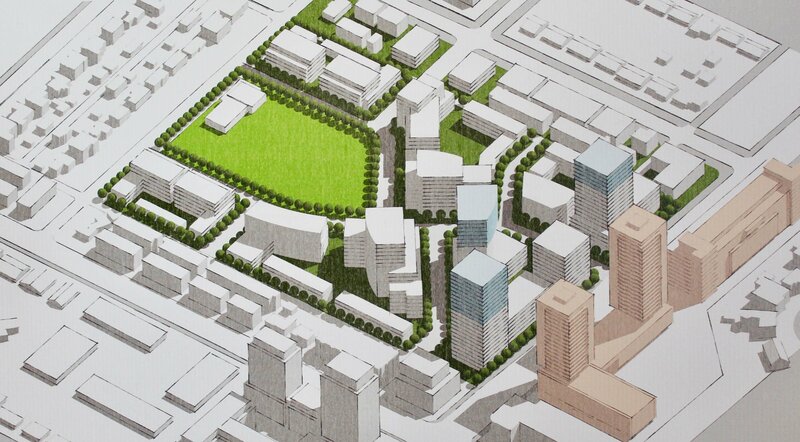 The neighbourhood will be designed with public walkways, cycling paths and two new streets. 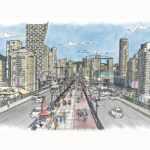 The architect is James KM Cheng, who says the Oakridge Transit site presents a rare opportunity. 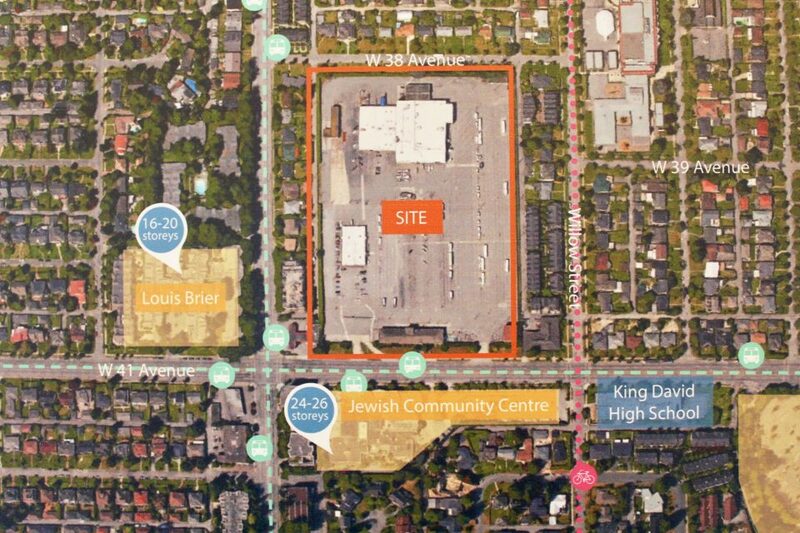 “It Is a rare opportunity to have a 13.8 acre site. It is an even more rare opportunity for this iconic landmark site to come with panoramic views. Our inspirations come from maximizing the amazing vistas of the mountains and Vancouver’s downtown skyline while maximizing the open green spaces for privacy and enjoyment,” said Cheng. 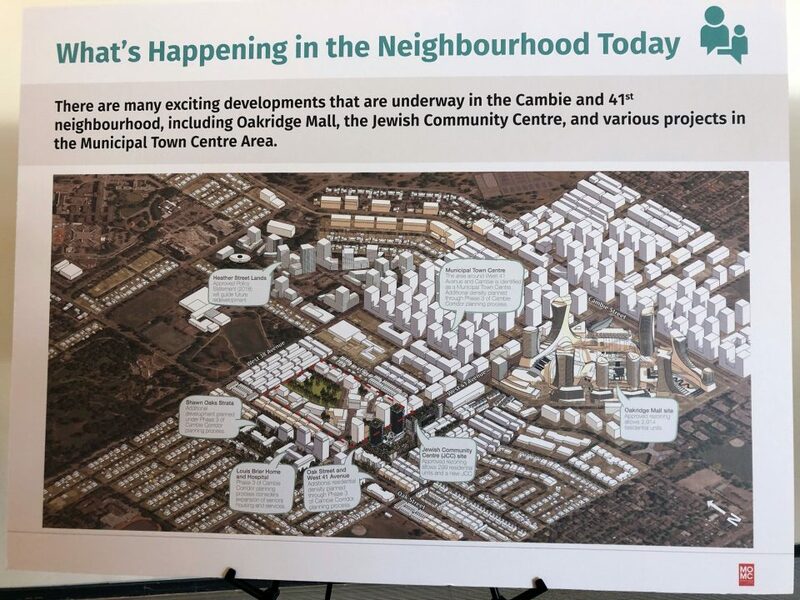 The development is located across the street from the Jewish Community Centre redevelopment, which will see the construction of a new community centre, seniors care facility and 24-storey rental apartment tower. 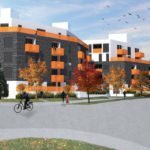 Modern Green is hoping to send the development to public hearing by 2020.